Should professors at Universities be active participants in generating and testing ideas or should they be content to be teachers of what is already known? Most higher educational institutions, such as the one that employs me, continually grapple with how to strike a balance between encouraging knowledge creation and dissemination past knowledge. Put another way, am I primarily a knowledge generator or am I paid solely to facilitate the communication of knowledge, with the assumption it is correct, once passed to me onto the next generation? How my university administration answers that question may go a long way toward determining my job responsibilities, such as teaching load, and what future hires will look like. More bluntly, if professors are just book-smart knowledge-dissemination vehicles then there is no need to hire tenure-track research faculty when adjunct faculty and lectures at reduced salaries and higher student contact-hours will suffice. A university may choose to go the route of just being in the business of teaching past knowledge to future generations but at what cost? Without expounding on this further I will just say that I believe there are many costs to this static view of information and knowledge and point out that some of those reasons are outlined in this article by Dr. Robert Berdahl: “Research Universities: Their value to society extends well beyond research. These fundamental questions about the purpose and value of the educational institutions are nothing new. Concerning how and by whom new knowledge is generated, I was struck by a quote from John Ray’s The Wisdom of God Manifested in the Works of the Creation. 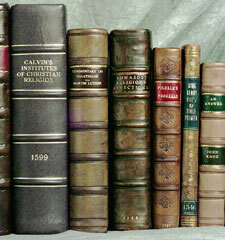 On page 152 of the 1735 edition we find Ray bemoaning the fact that so few professors of his day had any experience from observation, or what we might call today practical experience or having generated their own data to confirm and tests ideas, but appear to be content with the knowledge of the past which they have gained from books. He has some valuable things to say about the costs of becoming complacent with our current knowledge. Let us not suffice us to be book-learn’d to read what others have written, and to take upon trust more falsehood than truth, but let us ourselves examine things as we have opportunity, and converse with nature as well as books. Let us endeavour to promote and increase this knowledge, and make new discoveries, not so much distrusting our own parts, or despairing of our own abilities, as to think that our industry can add nothing to the invention of our ancestors, or correct any of their mistakes. Let us not think that the bounds of science are fixed, like hercule’s pillars, and inscrib’d with a ne plus ultra; let us not think we have done when we have learn’d what they have deliver’d to us; the treasures of nature are inexhaustible, here is employment enough for the vastest parts, the most indefatigable industries, the happiest opportunities, the most prolix and undisturb’d vacancies.……. Much might be done would we but endeavor, and nothing is unsuperable to pains and patience. I know that a new study at first seems very vast, intricate, and difficult, but after a little resolution and progress, after a man becomes a little acquainted, as I may so say, with it, his understanding is wonderfully clear’d up and enlarg’d, the difficulties vanish, and the thing grows easy and familiar. And for our encouragement in this study, observe what the Psalmist saith, Psal cxi 2 The works of the Lord are great, sought out of all them that have pleasure therein. Which tho’ it be principally spoken of the world of providence, yet may as well be verify’d of the works of creation. I am sorry to see too little account made of real experimental philosophy in this university, and that those ingenious sciences of the mathematicks tbor ih’d at are so much neglected by us; and therefore do earnestly exhort those that are young especially gentlemen, to set upon these studies, they may possibly invent something of eminent use and advantage to the world; and one such discovery would abundantly compensate the experience and travel of one man’s whole life. However, it is enough to maintain and continue what is already invented; neither do I feel what more ingenious and manly employment they can pursue, tending more to the satisfaction of their own minds, and the illustration of the glory of God, for he is wonderful in all his works. A note about some terms; “Experimental philosophy” is used here in opposition to what we might call “armchair philosophy” but Ray obviously does not have in mind the modern field of experimental philosophy but rather a more general idea that ideas should be tested by experiment/evidence – ie. the scientific method. “Indefatigable” means unable to tire out or not able to become fatigued. I have a simple base-philosophy to filter all things through. Believe what has more compelling arguments for it than the other side does. Whether those arguments come from yourself or from others.